Patent T-Shirts There are 146 products. 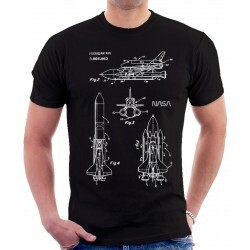 Space Shuttle 1975 Patent T-Shirt UNISEX ROUND COLLAR T-SHIRT - CLASSIC STYLE 150 JERSEY. 100% semi-combed cotton. Reinforcing tape at neck, elastane rib collar.High quality soft cotton t-shirt. Great colors. High quality of printing. Please check the description for the right size for you! Space Rocket 1967 Patent T-Shirt UNISEX ROUND COLLAR T-SHIRT - CLASSIC STYLE 150 JERSEY. 100% semi-combed cotton. Reinforcing tape at neck, elastane rib collar.High quality soft cotton t-shirt. Great colors. High quality of printing. Please check the description for the right size for you! Space Capsule 1959 Patent T-Shirt UNISEX ROUND COLLAR T-SHIRT - CLASSIC STYLE 150 JERSEY. 100% semi-combed cotton. Reinforcing tape at neck, elastane rib collar.High quality soft cotton t-shirt. Great colors. High quality of printing. Please check the description for the right size for you! Mars Rover 2004 Patent T-Shirt UNISEX ROUND COLLAR T-SHIRT - CLASSIC STYLE 150 JERSEY. 100% semi-combed cotton. Reinforcing tape at neck, elastane rib collar.High quality soft cotton t-shirt. Great colors. High quality of printing. Please check the description for the right size for you! Toilet Paper Roll 1891 T-Shirt UNISEX ROUND COLLAR T-SHIRT - CLASSIC STYLE 150 JERSEY. 100% semi-combed cotton. Reinforcing tape at neck, elastane rib collar.High quality soft cotton t-shirt. Great colors. High quality of printing. Please check the description for the right size for you! Lock 1924 Patent T-Shirt UNISEX ROUND COLLAR T-SHIRT - CLASSIC STYLE 150 JERSEY. 100% semi-combed cotton. Reinforcing tape at neck, elastane rib collar.High quality soft cotton t-shirt. Great colors. High quality of printing. Please check the description for the right size for you! Gillette Razor 1905 Patent T-Shirt UNISEX ROUND COLLAR T-SHIRT - CLASSIC STYLE 150 JERSEY. 100% semi-combed cotton. Reinforcing tape at neck, elastane rib collar.High quality soft cotton t-shirt. Great colors. High quality of printing. Please check the description for the right size for you! Brewing Beer 1893 Patent T-Shirt UNISEX ROUND COLLAR T-SHIRT - CLASSIC STYLE 150 JERSEY. 100% semi-combed cotton. Reinforcing tape at neck, elastane rib collar.High quality soft cotton t-shirt. Great colors. High quality of printing. Please check the description for the right size for you! Beer Pump 1886 Patent T-Shirt UNISEX ROUND COLLAR T-SHIRT - CLASSIC STYLE 150 JERSEY. 100% semi-combed cotton. Reinforcing tape at neck, elastane rib collar.High quality soft cotton t-shirt. Great colors. High quality of printing. Please check the description for the right size for you! 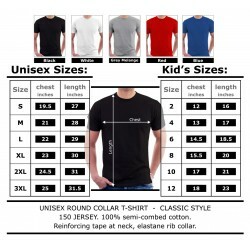 Beer Cold Air Pressure Patent T-Shirt UNISEX ROUND COLLAR T-SHIRT - CLASSIC STYLE 150 JERSEY. 100% semi-combed cotton. Reinforcing tape at neck, elastane rib collar.High quality soft cotton t-shirt. Great colors. High quality of printing. Please check the description for the right size for you! Beer Bottle 1934 Patent T-Shirt UNISEX ROUND COLLAR T-SHIRT - CLASSIC STYLE 150 JERSEY. 100% semi-combed cotton. Reinforcing tape at neck, elastane rib collar.High quality soft cotton t-shirt. Great colors. High quality of printing. Please check the description for the right size for you!